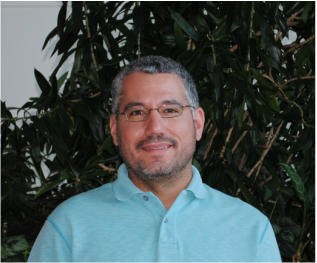 Jose Tovar, Ph.D.- Joined the Gehan lab in September 2016. He has his M.S. in Plant Breeding and a B.S. in Biology with a specialization in biotechnology from La Molina National Agrarian University (Peru). Jose completed his Ph.D. in Molecular Biosciences at Arkansas State University in 2016 in Brett Savary's lab with a dissertation titled "Development of the thermally tolerant pectin methylesterase for an innovative application in biomass processing". Jose has previously been part of large multinational projects through his work at the International Potato Center in Peru, Kenya, and Uganda. Check back for more on Jose's work in the Gehan Lab soon. Sanaz Jarolmasjed, Ph.D.- Joined the Gehan lab in June 2018. She earned her B.S. and M.S. in Agricultural Machinery Engineering from the University of Tabriz, and her Ph.D. in Agricultural and Biological Engineering from Washington State University in 2018 in Sindhuja Sankaran's Lab. Sanaz has extensive experience in hyperspectral imaging and phenotyping and joins a collaborative Department of Energy Project (DE-SC0018072) between the Gehan Lab, Bart Lab (DDPSC), Braun Lab (University of Missouri, Columbia), and Vermerris Lab (University of Florida). 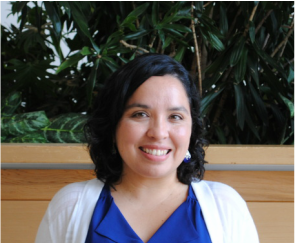 Elizabeth Castillo, M.S.- Joined the Gehan lab in September 2016. She has a B.S. in Biology with a specialization in Biotechnology from La Molina National Agrarian University (Peru). Elizabeth earned her M.S. in Environmental Science from Arkansas State University in 2015 with a thesis titled "Assessing Foliar ascorbate content in a rice diversity panel and selecting mapping population lines with varying levels of seedling cold tolerance" in Argelia Lorence's lab. Through her work in the Lorence Lab, Elizabeth has unique phenotyping expertise that she will bring to the Gehan Lab. Check back for more on Elizabeth's work in the Gehan Lab soon. Michelle Richards- Joined the Danforth Center in July 2016. She earned her B.S. in Business Administration with an emphasis in Marketing and a minor in Economics from the University of Missouri-Columbia. She is organized, detail oriented, and generally helps to keep us scientists sane. Paige Pearson- St. Louis University. Joined the Gehan lab in 2017 as an undergraduate researcher. Anastasia Shamin- St. Louis Community College. Joined the Gehan Lab in 2017 as an undergraduate researcher. Seren Villwock- Is a 2018 NSF REU intern in the Gehan Lab from Lewis and Clark University. Her summer project focuses the environmental factors that constrain growth of Setaria viridis. Seren's research is supported by NSF through Award No. DBI-1156581. Malia Gehan, Ph.D. is an Assistant Member and Principal Investigator at the Donald Danforth Plant Science Center, who focuses on improving resistance to temperature stress. Most recently, she was a Research Scientist in the Mockler Lab (Danforth Center) and a NSF-PGRP Postdoctoral Fellow. 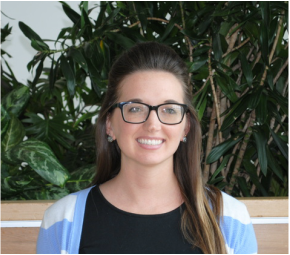 During her Postdoctoral research she focused on developing tools for high-throughput phenotyping. Through work on phenotyping, she and colleagues started a Maker Group at the Danforth Center that focuses on developing low-cost phenotyping tools, and fun outreach events (Raspberry Jams!). Malia earned her Ph.D. in Plant Biology at Michigan State University Plant Research labs with Dr. Mike Thomashow examining natural variation in freezing tolerance and the integration of the circadian clock with cold signaling. As an undergraduate researcher in Biology at Willamette University she studied thermoinhibition of growth and development of guard cell protoplasts with Dr. J. Gary Tallman. Malia grew up in Kaneohe, Hawaii where there is very little change in temperature, which is probably why she is so interested in temperature signaling. In her free time she enjoys spending time with her husband (Jackson) and sassy cats, Katness and Meowming. Steven Callen, Postdoctoral Researcher. Currently: US State Regulatory Affairs Manager, Monsanto Co.
Christopher Halen, 2017 Summer Intern. Miranda Mclaughlin, 2017 NSF REU Intern. Michael Miller, 2016 NSF REU Intern. Monica Tessman, 2016 NSF REU Intern. Currently: Software Developer, Monsato Co.